I've been rewatching Mad Men Season Two recently and thinking about salaries and what it takes to live in NYC. In one episode, I believe it's Peter who says he makes $75/week. Of course, the Business Librarian in me kicked in and I had to know what that meant, exactly. "How much is that?" "Can you afford a NYC apartment on $75/week?" 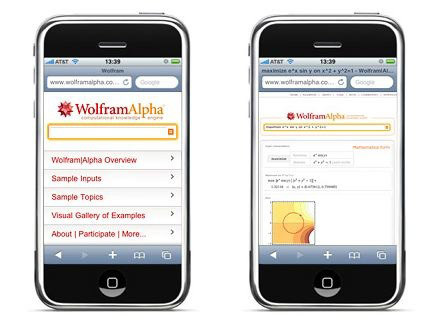 Wolfram Alpha to the rescue. Peter's salary comes out to about $3900/year in 1960 or $29,146 in 2011. Which would explain why they need Trudy's parents' help with the purchase. Harry gets a raise in season two: $225/week. This comes out to $11,700/year in 1960 or $87,438.52 in 2011. You can try out the Historic Salary Calculator below, or make your own, here. Wolfram Alpha has lots of other tools helpful for business research like stock data, foreign currency exchange and income tax estimates. You can type in the names of a couple of companies and Wolfram Alpha will create a chart comparing things like stock prices, number of employees and revenue. Need calculations on-the-go? Download their app available for iPhone & Android for $1.99.